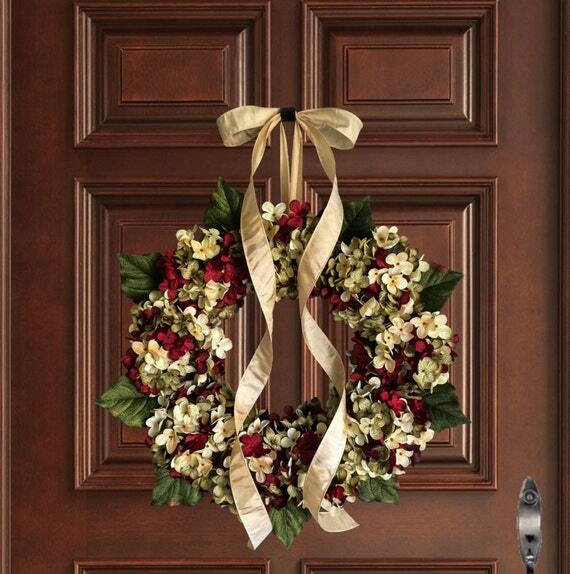 Elegant Christmas wreaths dress up any door or wall for the holidays. 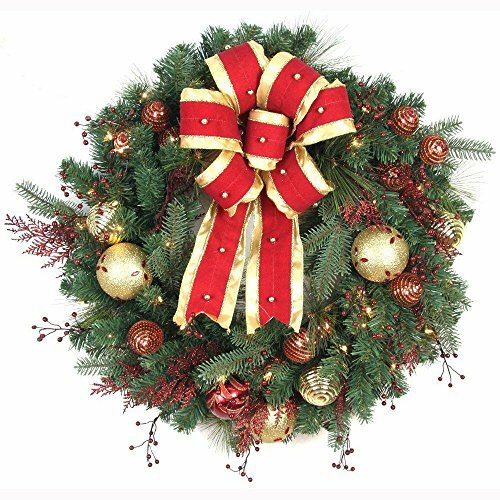 Welcome guests with a gorgeous wreath hanging on your entrance doors, or brighten up any room in your home with a Christmas wreath hanging on your walls. 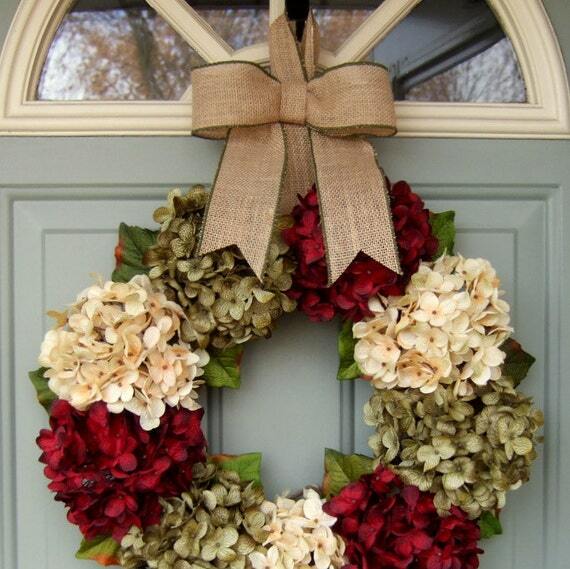 You can never have too many wreaths. 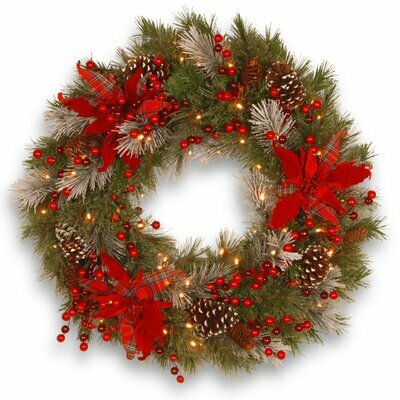 Hang one or more elegant Christmas wreaths in each room of your home at Christmastime, for festive decor accents. 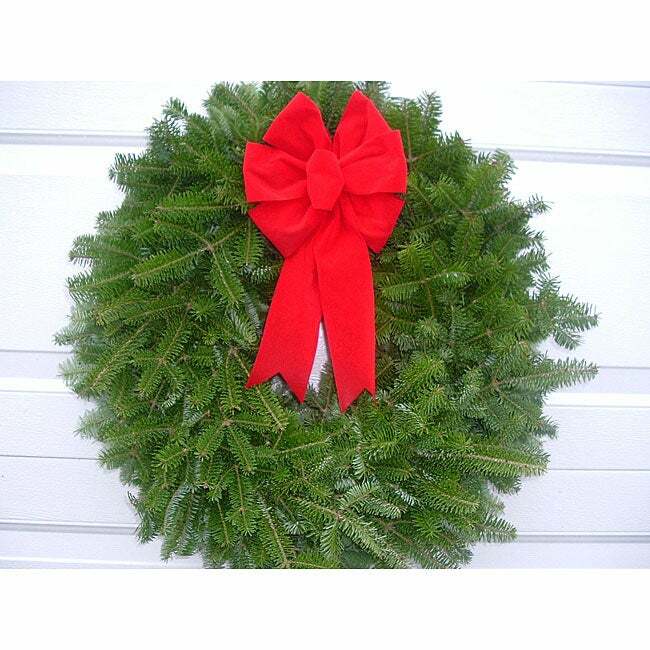 You have a beautiful selection of Christmas wreaths to choose from here, too. You’ll see some fresh wreaths and some artificial. Some are pre-lit and pre-decorated, while others are ready for your own personal touch. Adding unique Christmas decorations is as easy as letting us do all the searching and you pick out the decorations you want. Be sure to pick up some handy Christmas wreath storage bags and boxes to keep your artificial wreath looking great year after year. Don’t forget to subscribe to our RSS feed so you can receive updates whenever we add new items! 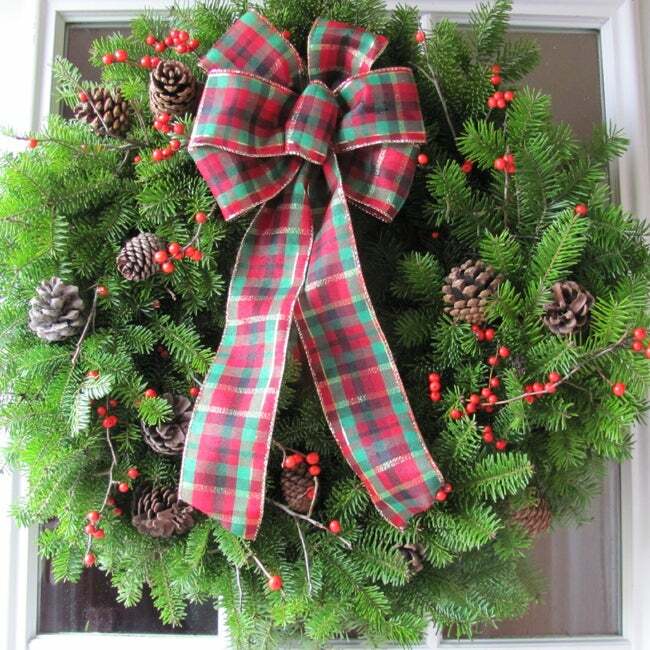 If you enjoy decorating the interior and exterior of your home for the holiday season, consider including some Christmas wreaths in those decorations. You’ll be happy that you did! 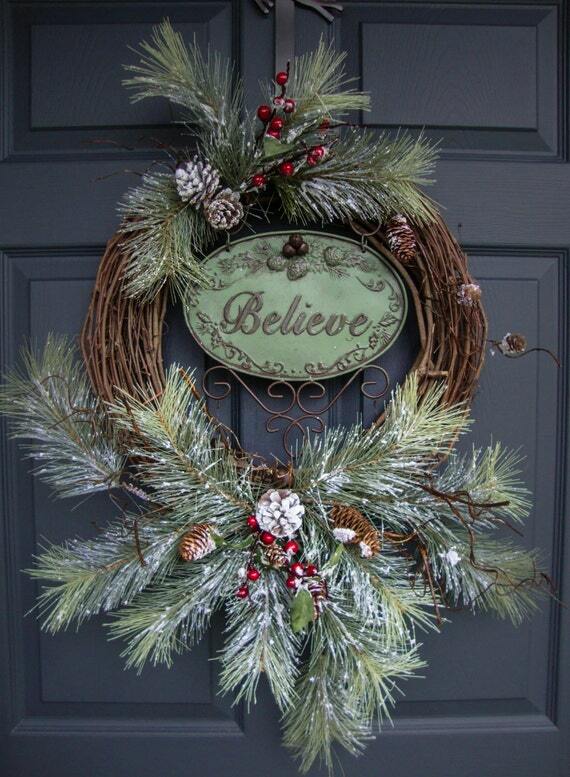 The most elegant Christmas wreaths of all are the handmade ones from Etsy, don’t you think? They are all so beautiful I don’t know which to pick. Some are made to order and some are one of a kind. Better get your order in quick! 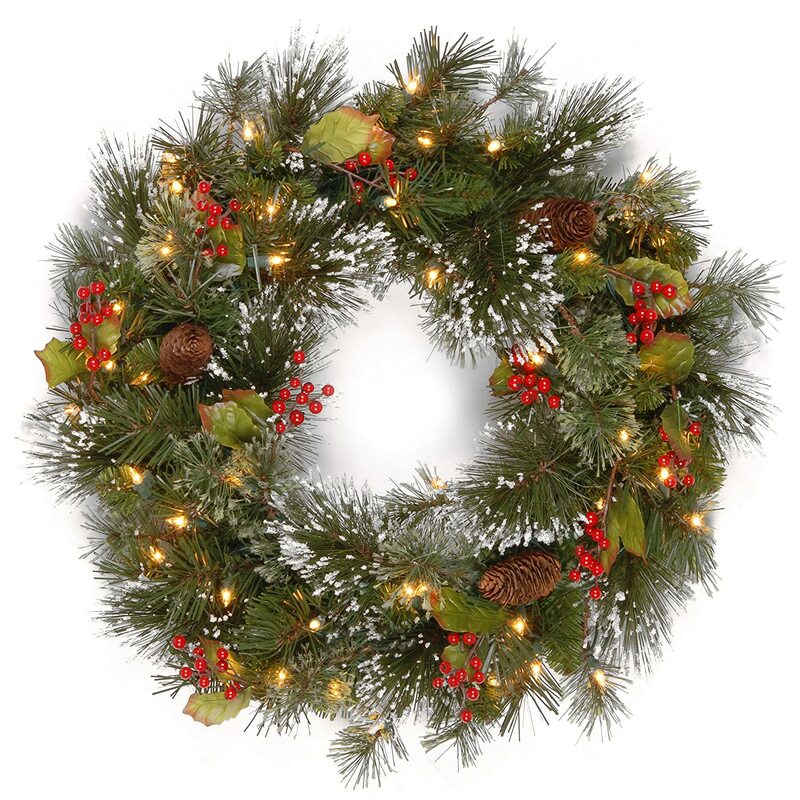 Trimmed with pine cones, red berries and snowflakes, this Christmas wreath is ideal for outdoor or indoor use. Can you just see this over a fireplace mantle or on your front door? 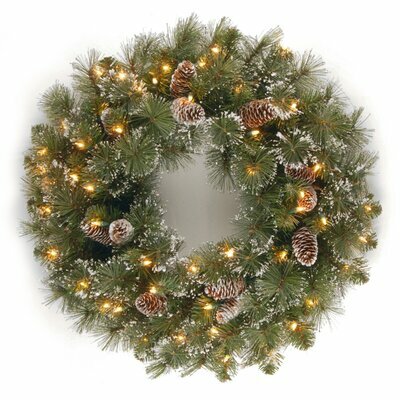 This wreath measures 24″ in diameter, and is pre-lit with 50 UL listed pre-strung low voltage Soft White LED battery operated lights. The colors look fantastic together, don’t they? This also makes a lovely gift for family, friends, and co-workers! 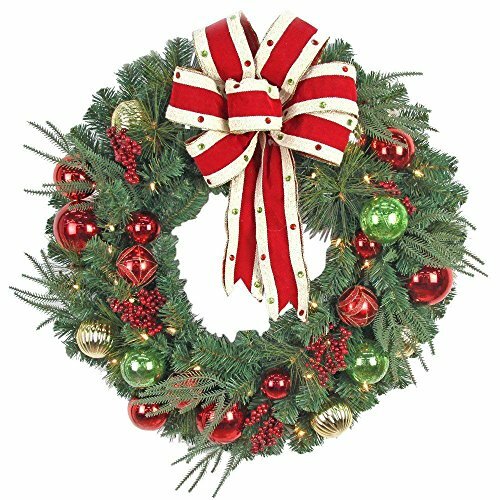 If you know a newly married couple, this beautiful Christmas wreath would make a thoughtful housewarming gift. These pre-lit Christmas wreaths not only add festive Christmas spirit to your home during the holiday season, but they will add soft warm light where ever you place them. Each wreath comes with lights already on it, and is ready to hang. Aren’t they pretty? 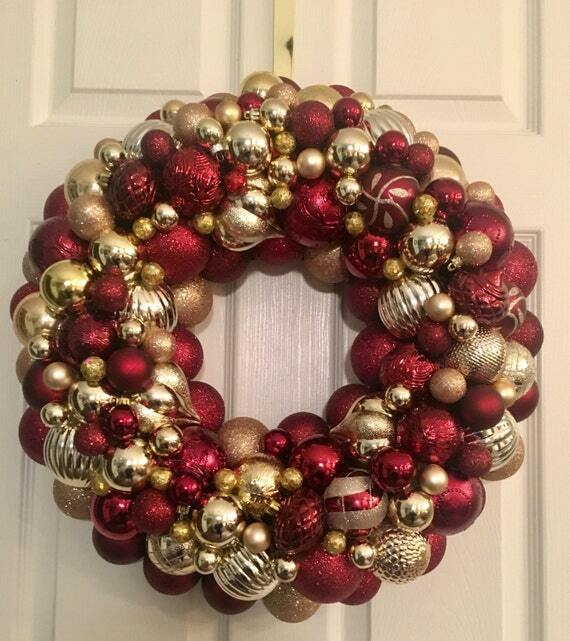 What a beautiful red magnolia indoor Christmas wreath. 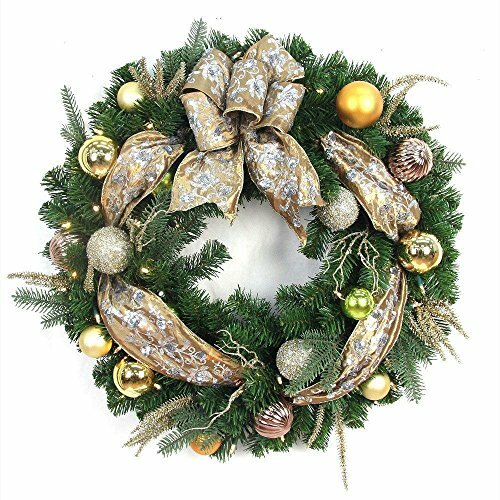 It’s created with pine, green glittered leaves, glistening red wired magnolias, red ornaments and gold pomegranates. 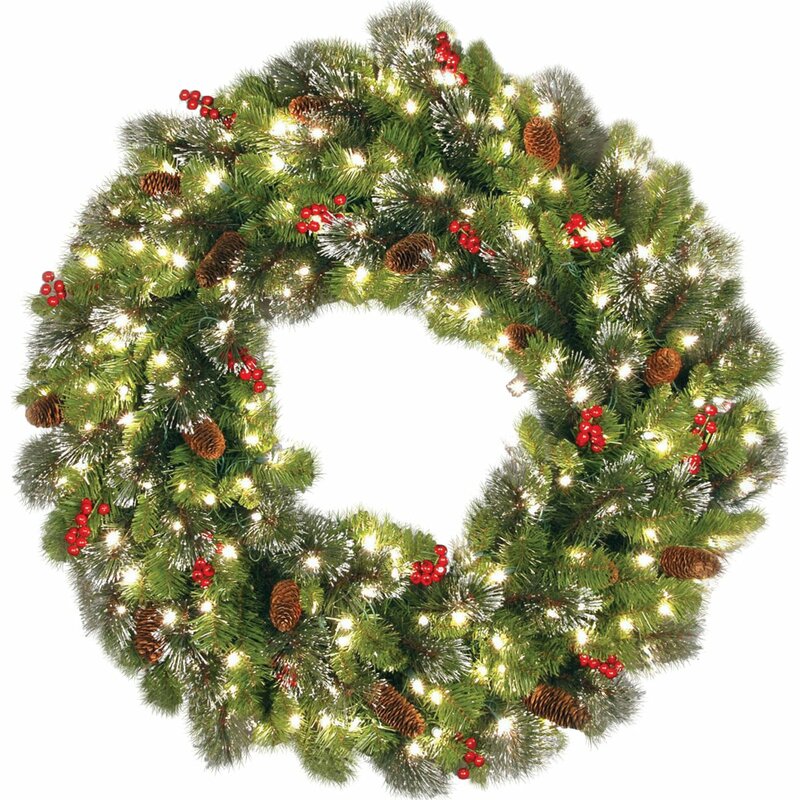 Unlit, the elegant Christmas wreath is 24″ in diameter. Hang it in the entry way or over a fireplace mantle. 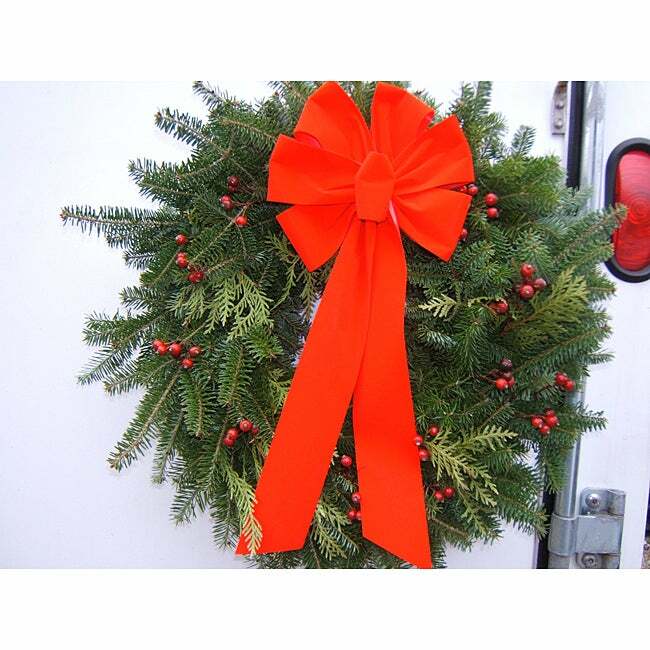 Where ever you place the wreath, it will fill the area with warmth and beauty. Whether you just want to buy this 24″ Magnolia Christmas Wreath or shop for your entire home, Wayfair has a zillion things home. 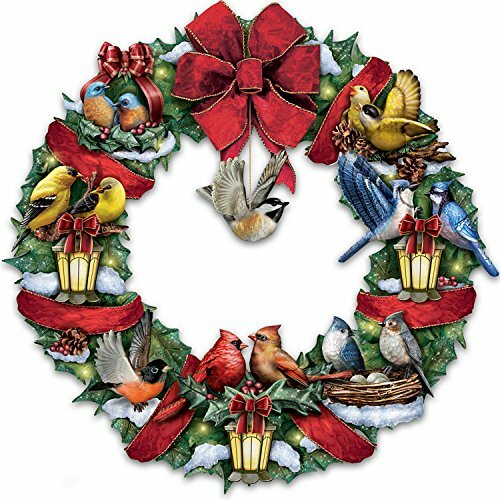 These unique and gorgeous fresh Christmas wreaths are ready to dress up your home or office for the holiday season! 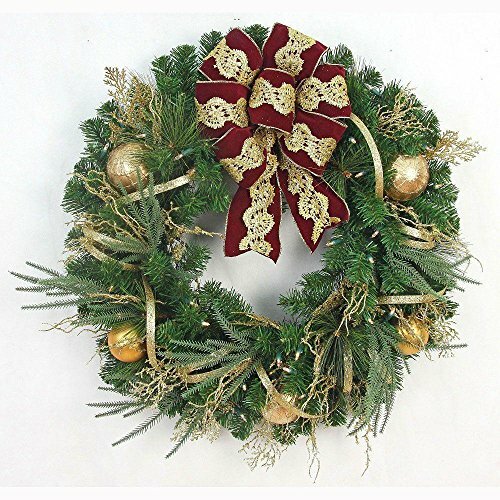 You’ll find a great selection of elegant Christmas wreaths below. 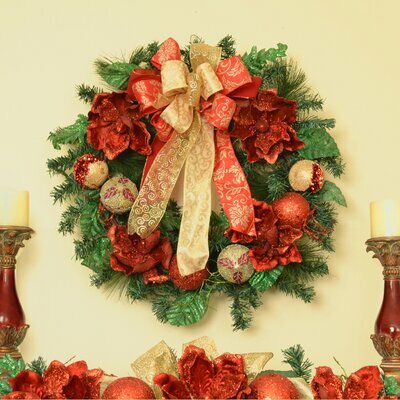 They’re some of the highest rated and most elegant Christmas wreaths at Overstock.com. You are a member of Club O, right? Club O Members get free shipping and other rewards! 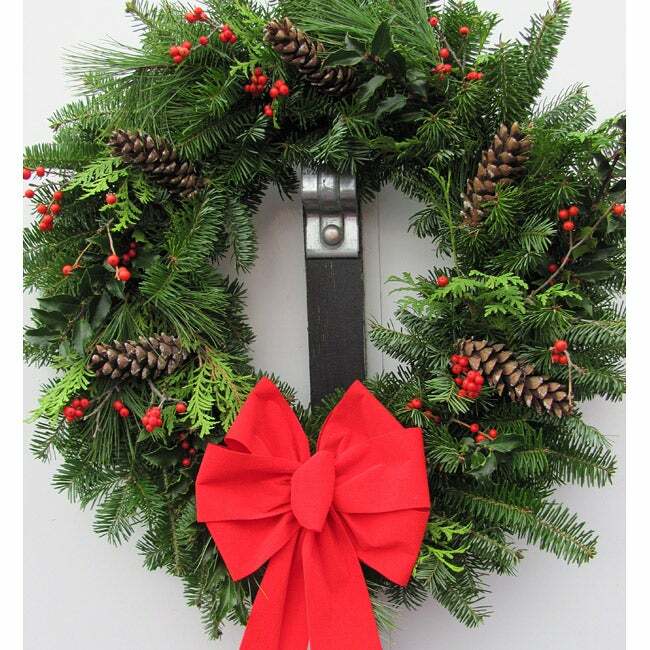 Excellent suggestion to plan for storage of the wreath to make sure it looks good for multiple Christmas seasons!